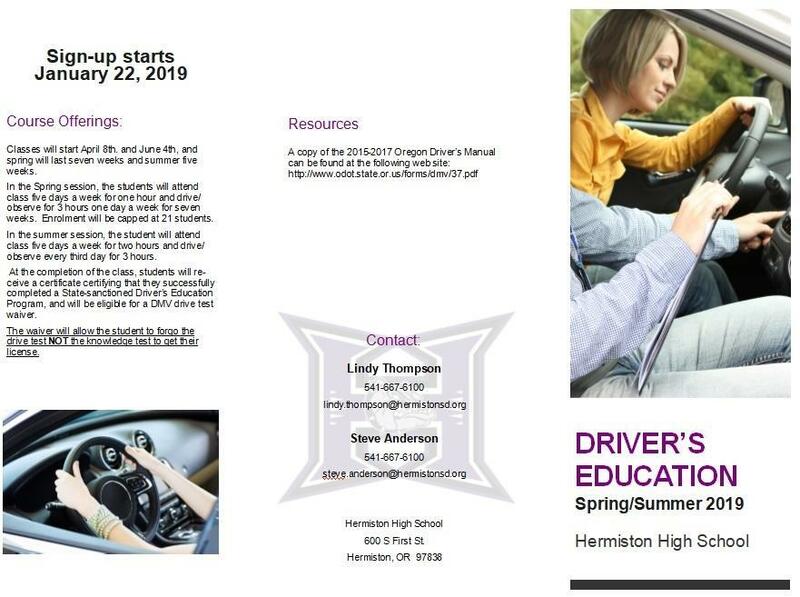 Welcome to the Hermiston School District’s Driver and Traffic Safety Education Program. 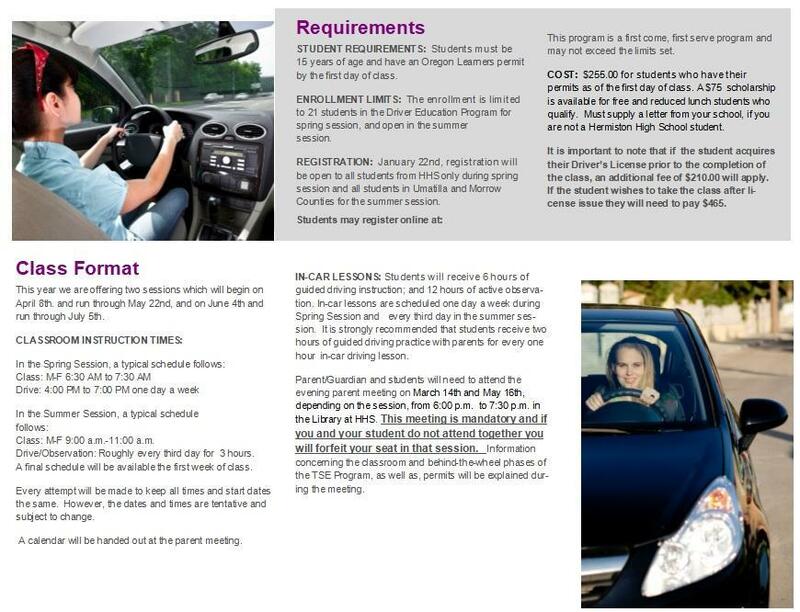 To be effective, this will not be the “Easy School of Driving.” Your success will require discipline, a willingness to learn new things and perhaps change old habits, and your time. Our program would be incomplete without your active participation, and your collective desire to learn. We highly value the time that you’ll devote to this task and believe that without that commitment, our efforts will be greatly diminished. We want to thank you for your willingness to learn and maintain safe habits that are designed to produce exceptional drivers who are able to freely choose to drive crash and ticket free for an entire lifetime.